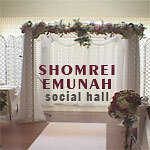 The Shomrei Emunah Social Hall is a beautiful setting for any event. 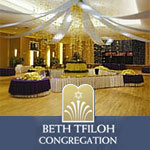 Seating capacity is over 400 for a wedding, including a large and spacious dance floor. The Hall's kitchen is state of the art, designed with the needs of caterers in mind. From our delicious regional specialties produced in our kosher kitchen to panoramic vistas and nearby attractions, Hyatt Regency Baltimore is a beautiful venue for your special day. Rely on our attentive wedding planner and exemplary staff to see to every detail, so you can enjoy the day and your guests. Whether you�re planning a small celebration or a large wedding, celebrate your special occasion in our beautiful new social hall. Seats up to 350 people with ample on site parking. 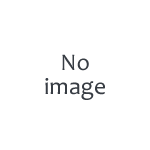 The Sheraton Hotel on the scenic Inner Harbor is the ideal place to hold your wedding. With extensive attention to detail, our talented and experienced staff will help you coordinate all aspects of your wedding, making your experience worry-free from the first stages of planning up until your big day. Our grand ballroom, which can accommodate up to 1,000 guests, offers a truly upscale setting for your reception. Contact Ann Cohen to find out more about our exciting kosher menu options. The newly renovated hall at Moses Montefiore Anshe Emunah (LJC) can accommodate 250 - 300 dinner guests.